Your loyalty is rewarded from your first order ! Personalised estimate answer within 24h. 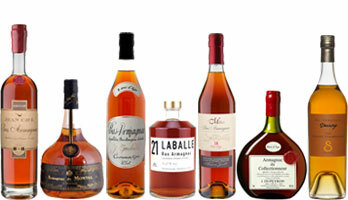 Armagnac.com brings together the largest offer of vintage Armagnac bottles on the Internet, with the biggest sellers like Darroze, Lacquy, Sempé, Cavé, Montal, Charron, Espérance, Goudoulin, Laballe, Millet, Pomès-Pébérère or Ryst Dupeyron. 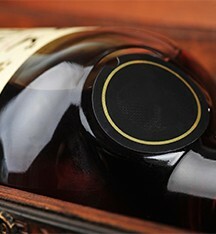 We are committed to sharing quality Armagnacs from the most prestigious producers and traders in the region. 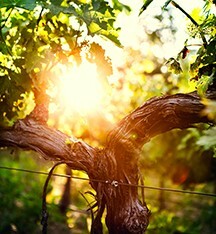 All our bottles are sold at the price of the winery, and ship directly from the producers’ domains. Armagnac is a golden amber wine brandy aged in oak barrels. Each Armagnac is made in the South-West of France, in the Gers, Landes and Lot-et-Garonne departements, and is then exported everywhere in France and abroad, for instance to the United Kingdom, Belgium or even Italy. – Haut-Armagnac is produced in the rest of the designation area, i.e. its eastern and southern parts. See our articles on each designation for a more precise description. 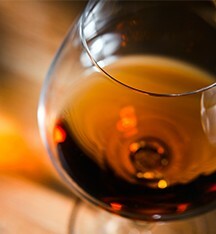 We offer a very wide selection of vintage Armagnac wines. You will find in our stock bottles of Armagnac of varying ages – from 5 years up to 130 years – sold in bottles of 70cl and 20cl, so there is something for everyone! Each product is delivered to you in a cardboard case or in a wooden case. The label can be personalized, for instance as a gift to relatives or colleagues. You will find detailed descriptions of each product on the site. In order to satisfy the largest number of customers, we also offer delicious Armagnacs at low prices for small budgets, but also boxes for the most ambitious ones. 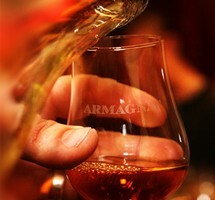 Order your vintage Armagnac on armagnac.com and receive your product at home straight from the producers. Please note that shipping is free for orders over 90 euros. So do not wait and add your Armagnac to your cart! Join our Armagnac.com Club for free to get discounts on your orders and receive our newsletter in order to find the Armagnacs that will suit you. Our website offers simple and reliable information about Armagnac, cocktail recipes and the different producers and traders. If you wish to know more about the manufacturing process and consumption patterns, Armagnac.com also invites you to come and meet the producers, who will be delighted to share their knowledge and show you their domains. Do not hesitate to contact us for more information!